Rachel Whalen and Ariel Alexander have been friends for more than a decade. Despite their differences–down-to-earth Rachel owns a local hair salon; Ariel is a vivacious former TV star determined to hold on to her looks–they’ve helped each other navigate single motherhood, banding together against the soccer moms of Timbergrove, Oregon. Yet lately, Rachel wonders about Ariel’s increasingly erratic parenting and her clandestine love life. And Rachel can’t reveal to anyone, even Ariel, how much she worries about her sullen, distant, younger son. When an unthinkable tragedy separates the two families, Rachel desperately tries to understand what went wrong. 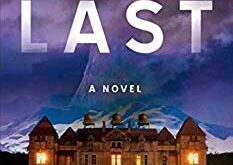 But as her assumptions are ripped away one by one, she must confront shattering revelations about the people she trusted and the suburban world that once seemed so safe. 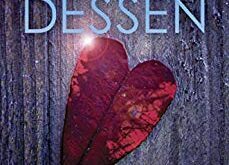 Rosalind Noonan explores both the bonds and the gulfs that exist between parents and children, friends and neighbors, in a suspenseful novel that is honest, intelligent, and thought provoking. Women’s Fiction is quickly becoming one of my go-to reading options. 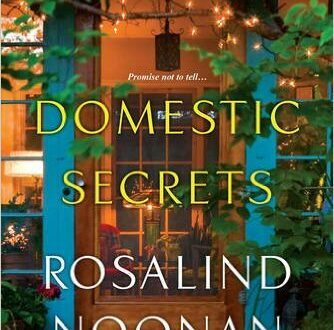 Rosalind Noonan’s “Domestic Secrets” drew me in from the homey feeling of the cover to the intriguing, dramatic synopsis of the story. A few things made me bring my rating down, but for the most part this was a fantastic read. I want to start out by saying Noonan has a great writing style. She’s descriptive without being overly so. There is just enough visual assistance to help guide me to put a face with the characters, an image with the street, or a feeling of the room they were in. I find sometimes the visuals are left on the wayside for writers as they want the plot line to be the focal point, but the scene is equally as important. In this case, Noonan nailed it. The story follows Rachel and Ariel, two single moms forging ahead after to bad marriages, followed by two dead husbands, and now raising teenagers and young children alone. The only support is each other. Polar opposites on parenting styles and personality types… Rachel is the perfect small town mom, while Ariel dreams of the big lights of Hollywood again and merely copes with being the local vocal teacher for the Gleetime kids. 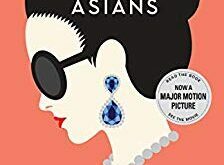 My only major issue with this book was the synopsis spoke of a big tragedy tearing these two families apart, yet it was barely shy of two-thirds through the book when the big tragedy took place. A huge shock, yes. But as the main point in the synopsis, I felt it should have happened way sooner in the book. When I read the back of a book to see what it’s about, I expect that to be a large portion of a book. Not just 1/3 of it. Following that and the fact that there was roughly only thirty five percent of the book left, I felt the really good part was rushed. Had the big moment happened sooner, I could have easily give “Domestic Secrets” a four… possibly even a five… star rating. Once that big moment happened I was glued to the book. I had to finish. I read the rest of the book in an hour. The first half of the book was great. Don’t get me wrong. Knowing what I know now, though, the first part definitely could have been trimmed of fluff to allow more time for the climax and that portion to play out more. To sum it up, in my opinion, the balance was off. Good news though! While I had suspicions about what was happening, I definitely had not guessed what the big tragedy was going to be. So hats off to Noonan for surprising me. With my love for crime and suspense books, that can be hard to do! I loved some of the characters and truly despised others. I cried at times (another hard thing to make happen) and laughed at others. Noonan has no problem drawing emotions from the reader. I will definitely be reading her next work when it comes out. I recommend this for anyone. It is not just women’s fiction. It has drama and suspense tangled in with it as well. I mean… we are talking domestic bliss here. What could be more dramatic and suspensful? A great job by Noonan. I really want to give more stars, but the focal point of the book happening so late in the book threw me off a bit. Three very solid stars for Noonan. 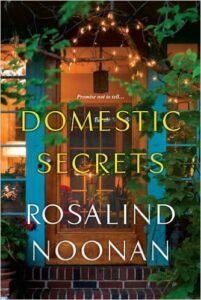 I strongly encourage all of you to pick up your own copy of “Domestic Secrets” by Rosalind Noonan. It is available on Amazon, Barnes and Noble, and check your local bookstores. Make sure to add it to your To Reads list on Goodreads and leave your feedback for the author with your thoughts when done!